Trunks is a pet that was recently added in the latest beta patch. Although it shares the same model as the other baby elekk pets, Trunks is from the Magic family and has a unique set of abilities. You'll need to take your Elekk Plushie for an adventure to earn this pet (more on this below), but once collected it's sure to keep your plushie good company. 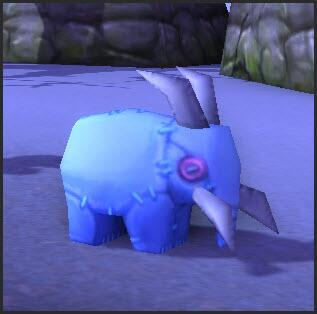 If a new adorable elekk isn't enough for you, the second newest pet might interest you. 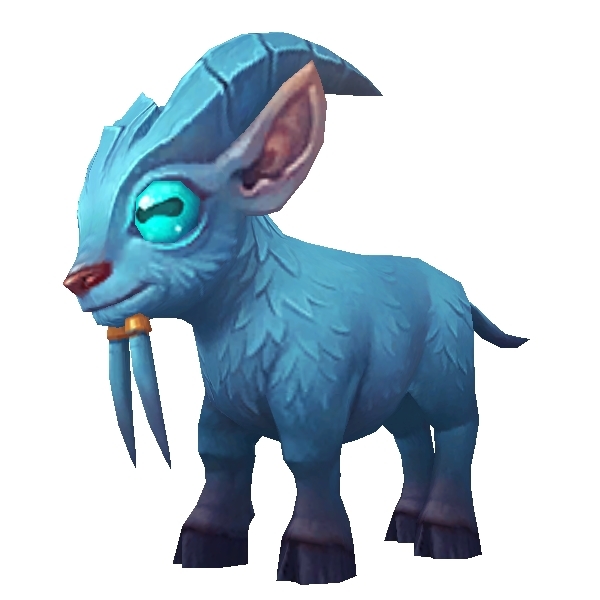 The previously datamined "spacegoat" model made its debut in the beta Pet Journal. It's called the Karabor Kid (pictured right), and according to the journal will be available from the Blizzard Store in the future. With a name like Karabor Kid, one could get the wrong idea. But it doesn't look like we'll be adopting any Draenei children any time soon. Well, depending on your point of view. A new achievement was added, Taming Daenor. Defeating all of the Draenor trainers unlocks "Pet Battle Daily Quest". It's currently unclear what this daily quest is, but hopefully the reward is a pet! In addition to Taming Draenor, some updates were made to two previously implemented achievements. As mentioned above, there will be a new baby elekk to collect. Trunks will be the reward for the achievement An Awfully Big Adventure. And boy, is it an adventure. You'll need to defeat 44 trainers, located all across Azeroth and beyond, with the Elekk Plushie (pictured right) on your active team to complete this achievement. Unfortunately, the plushie doesn't have any damage dealing moves, so get your carry teams ready! The second updated achievement is Victory in Hillsbrad. For earning a victory in WoW's special 10th anniversary battleground you'll now receive a title corresponding to your faction instead of the pet Hogs. We don't know if Hogs will ever be a pet that we can collect, but we will continue to remain hopeful that he'll eventually be released. Has there been any word on other achievments, like for large collections, or new titles? I did a little research--it looks the Tarren Mill/Southshore event will only be giving a title. I don't know what will happen with Hogs. :( I want him so! The Elekk Plushie's abilities has a 1x10⁻⁹⁹⁹⁹ percent chance to cause sudden spontanious death from laughter to the enemy pet. grr, no hogs again!! thats 2 ways of getting him datamined then removed by blizz, my guess this is just a tease pet that we will never see in game. I kinda hope the Karabor Kid is released before the xpack drops so we can have a little spacegoat following us as we quest.